Washington Twp NJ Real Estate Info is about the one in Gloucester Co. We will try to provide lots of information about the area. 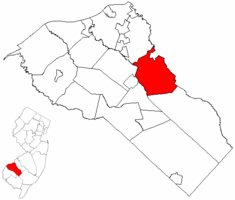 Strange how there can be several townships with the same name within New Jersey - but, there are! "Our" particular one is a very popular area for people who work in Philadelphia. They can commute in and out of Philadelphia via the Walt Whitman Bridge & Rt 42 and get directly to the Washington Township area. The MLS for Washington Twp will be through the "School District". This will therefore include some areas within Washington Twp - better MLS results for this entire area!